DJ Sharad is VERSATILE. DJ Sharad is a BUSINESS. I have been in the entertainment game for over 2 decades and continue working everyday to push my personal brand along with my DJUSA / SM Event Group team further within the entertainment industry. I have played music at parties and events all over the world for all types of crowds. I have produced records, remixes, and mix tapes. I have conceptualized, produced, and promoted my own events including concerts, fundraisers, award shows, sneakers shows, and product launches with some of the biggest global brands and artists. 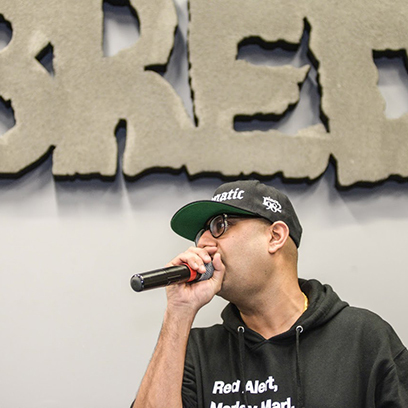 When the opportunity came to co-produce and DJ the Bred Shop in store VIP release party for 50 Cent and G-Unit, I jumped on the opportunity! 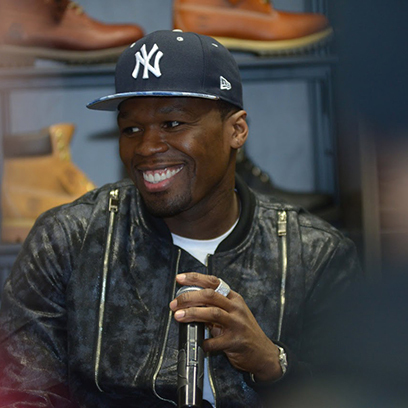 I have seen G-Unit grow from a local Queens group to a worldwide phenomenon. 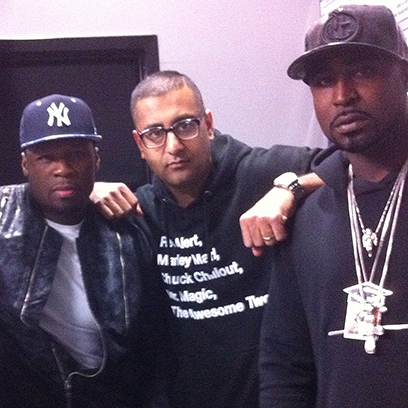 Last month, G-Unit released a brand new EP titled “The Beast is G-Unit,” which is very dope refreshing material. Fifty lucky Bred Shop customers were given an exclusive invite to an in store listening and question/answer VIP experience. I played a 2-hour set strictly focused on G-Unit music, which I hadn’t done in a long time. 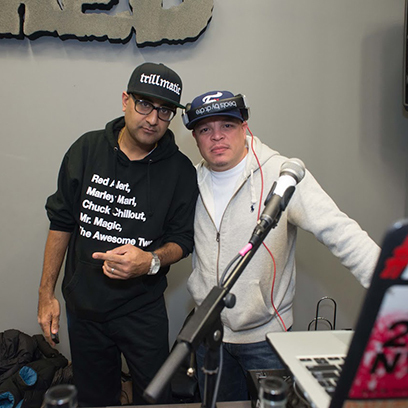 Big up to my boy DJ Finesse for taking over the DJ booth for a few minutes. My DJUSA team provided all the audiovisual support and designed the creative for the event. 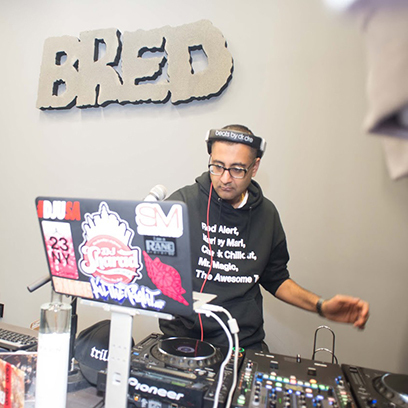 Shout out to long time DJUSA supporter @ASneaks who is the co-owner of Bred Shop and Bx Sports! I will catch you the next event soon. For more updates on my whereabouts and what we are up to follow me on Instagram @DJSharad and check out my website www.djsharadnyc.com. 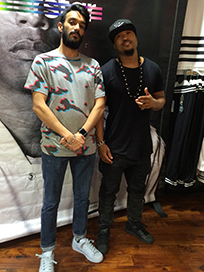 I’m Alex Flash Aurora, DJUSA’s Event Producer and Ihave been producing events for Adidas in the past year. Last weekend, it was an honor for the DJUSA event production team to collaborate with Adidas Originals to produce the launch event for the very sought after Adidas #supercolor line. The new sneaker line is the brainchild of music and fashion genius Pharrell Williams, and represents diversity via its expression of color. 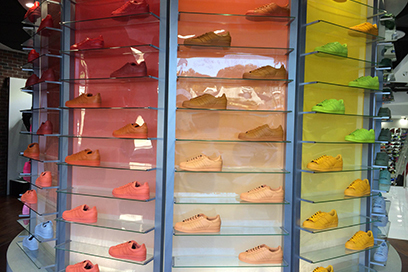 The Adidas #supercolor officially released globally on March 27, 2015 and the celebration for its launch was held at the Shoe Palace in Los Angeles, CA. DJUSA was onsite to lead and manage the production of the #supercolor launch event. As a 10 year DJUSA veteran, I have been blessed with so many opportunities to travel all around the world and perform in front of extremely diverse crowds. 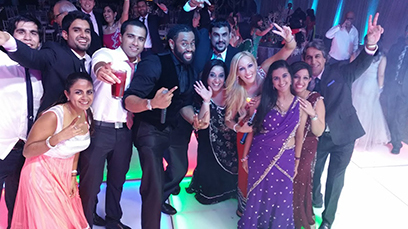 Each event I have rocked has left a lasting and unforgettable memory for my clients, their guests, and myself. Last month I traveled to Cancun to DJ two events in two different cities over 2 days. 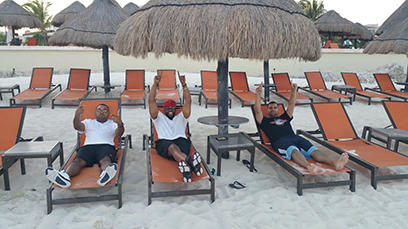 My first event was at Moon Palace Resort Cancun and the second one was at the Hard Rock Riviera Maya. Thank you Tanisha & Manish, you guys ROCK! Thank you Sonal & Nader, you guys ROCK! My first event went on till 4:30 in the morning while the second event had a packed dance floor the entire night as well. The 85 degree sunny weather in Mexico made it really hard to leave and come back to the very ice cold NYC. Good thing my flight got cancelled forcing me to stay in Cancun for an extra day. This trip was one of my favorites because of amazing events, delicious food, beautiful weather and the best clients ever. Additionally half of the DJUSA team was out there with me rocking! My guys DJ 971, Dholi Raj, Marco Glorious, and DJ Sharad all rocked with me! We had an amazing time! There’s something about destination weddings that I love! The crowd is always ready to a party! When I am doing my job, the people dance to ANYTHING coming out of my speakers! 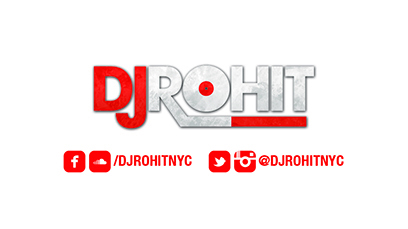 Follow me on Facebook, Instagram & Twitter @DJRohitNYC as I take you guys with me to all my events and keep you updated on all the cool things DJ ROHIT & #DJUSA are doing! 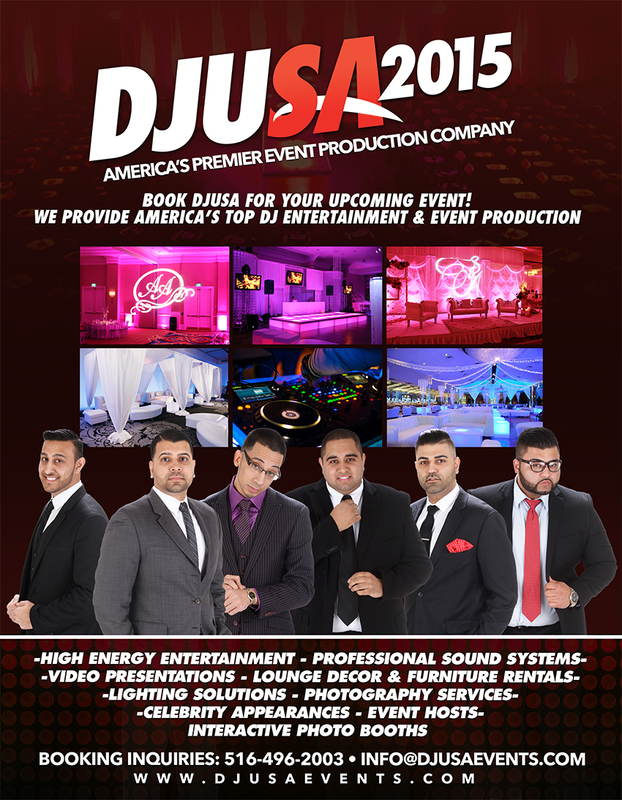 And don’t forget to hit up our website here at www.DJUSAEvents.com to book me, DJ Rohit, your new favorite DJ! March 7th 2015, I had the pleasure to DJ, what is becoming a national event in the US; the Holi in the City celebration here in New York City. 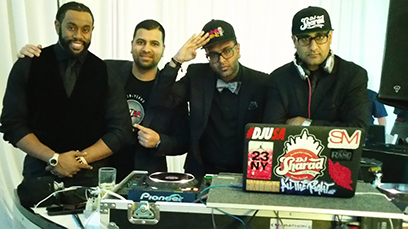 I got to team up with some of the best South Asian DJ’s in NY and the infamous Dholi Ravi Bindra who all brought the house down. 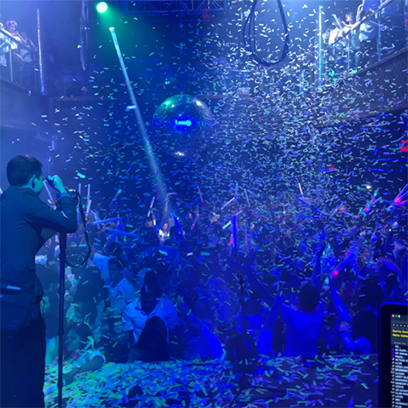 The event was an enormous success reeling in over 2000 people to the famous STAGE 48 Nightclub. This event was talked about enough to warrant an encore edition on April 4th 2015 where I return with my buddy Naveen Kumar, Raj Minocha, DJ Harsh and the newest edition to the DJUSA family, DJ Arjun. This event will also be held at STAGE 48 (massive shout out to the team producing both events, Manny and Josh!) and I sincerely look forward to seeing you all there. My current professional and corporate situation has taken me around the world and it’s been truly a blessing. I look forward to coming back to NY in April to reunite with my friends, fans and family. #happylife to you all and see you soon. Also don’t forget to check out my recent mixes on my SoundCloud page! And Book me for your next event by logging onto www.DJUSAEvents.com and contacting my team! Cheers. Check out Ash G's SoundCloud! What's up party people? It's DJ Avi checking back in!!! With wedding season quickly approaching and the first quarter of 2015 (that was quick right?!) wrapping up I've been extremely busy. The first quarter of the year is a busy time in the music industry as artists gear up their new singles and albums. This past month I got a chance to chop it up with Natalie La Rose and Flo-Rida as they visited 94.5FM PST in New Jersey. You might recognize the name Natalie La Rose, she is the voice behind the hit single "Somebody" featuring Jeremih which samples Whitney Houston's "I Wanna Dance With Somebody". Soon after I got to meet the global superstar that is Flo-Rida as he hung out with our listeners and answered some of their questions. When I meet artists it's always great to share my perspective on their music as a DJ. I told Natalie that her song does great at weddings and in the clubs. She was quite surprised when I told her this because she only sees how her music does on the charts and doesn't get a chance to see how her music works in a private event setting. When I met Flo-Rida I had to tell him that his music is a DJ's best friend because anything that man puts out is a hit!!! 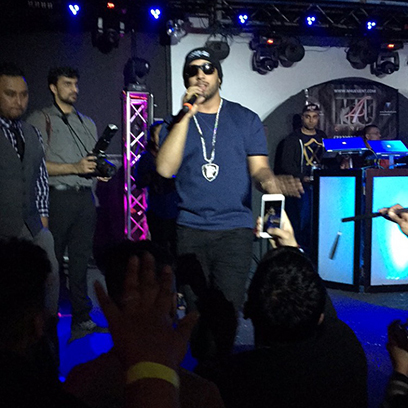 At the end of March I touched the stage and set the tone in Philadelphia at District Nine for Imran Kahn's concert featuring Amar Sandhu, hosted by Vine sensation Jus Reign!!! It was great experience doing a concert and creating a great vibe for Imran Kahn and more importantly for all my desi people out there!!! This April I will be back on that concert stage, this time with former "Jersey Shore" cast member DJ Pauly D!!! Playing in front of a concert audience is always a dope experience because the crowd is always buzzing with excitement for the main act. Philly always shows me crazy love when I get to put on a show in the city of brotherly love!!! DJ Pauly D and myself will have the crowd fist pumping to some of the biggest EDM records out right now!!! If you're a fan of dance music and or "The Jersey Shore" make sure you get your tickets at EventCombo.com Hope to see you guys there!!! Make sure to stay up to date with all my radio, concert, and club work by following me on Facebook, Twitter, and Instagram at @DJAviPST. 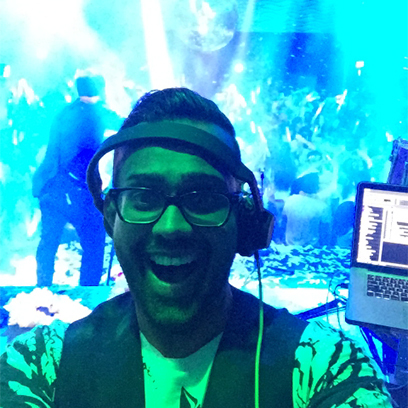 Check out DJ Avi for your next private event! On April 23rd, 2015, DJUSA Events is proud to announce their involvement with the Asa’ Mai Hindu Temple in Hicksville, NY for a South Asian Youth Professional Networking Event at Pranna Restaurant in New York City. Organized by YAHA and with the support of Pranna and DJUSA, all proceeds will be given to the Asa’ Mai Hindu Temple. The purpose of this event is to raise money for a temple that gives back to their community regularly. It is also for the South Asian Youth demographic to stay connected and to potentially open doors for endless opportunities. The function will be open to all and bringing business cards is highly recommended. 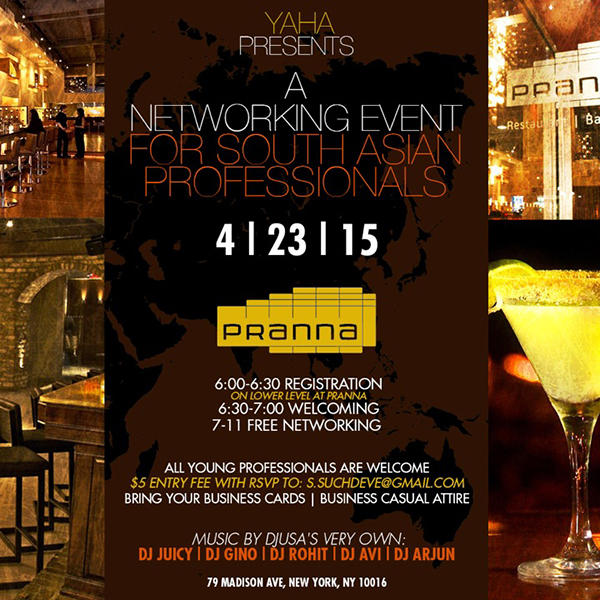 The event will be from 6pm-11pm exclusively in the PRANNA CELLAR with a $5 entry fee. Of course the DJUSA team will be providing the night's entertainment with DJ Juicy, DJ Gino, DJ Avi, DJ Arjun and DJ Rohit on the decks! Make sure to stop by to network and party with a purpose! Please RSVP to info@djusaevents.com. RSVP is MANDATORY for GUARANTEED ADMISSION - Click here to RSVP!